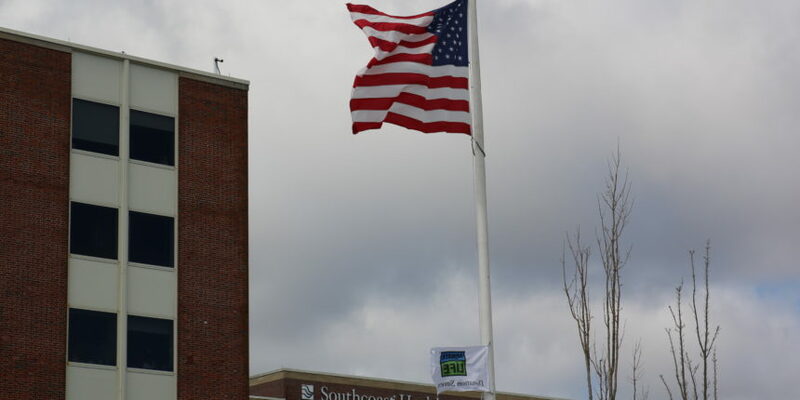 Southcoast Health held a flag-raising ceremony on April 3 at St. Luke’s Hospital in New Bedford to recognize National Donate Life Month and to celebrate all those individuals who have given the gift of life to others by choosing to be an organ donor. Southcoast Health works in collaboration with the New England Donor Services, the area’s local designated Organ Procurement Organization, to provide a second chance at life for individuals in need of an organ for transplant. In 2019, Southcoast Health had 8 donors save 20 lives through organ transplant. “Organ donors demonstrate great courage by simply checking a small box on their license. That small yet, significant gesture, serves as a powerful reminder that a positive outcome is possible in the face of devastating loss,” said Renee Clark, COO of Southcoast Hospitals Group, who led today’s event. In memory of the individual who gave the gift of life to others, Southcoast Health will fly the New England Donor Services flag on the last day of each month at the respective site where an organ donation has occurred. The need for organ donors across the country remains significant. According to the U.S. Government Information on Organ Donation and Transplantation, there are currently more than 114,000 men, women and children on the national transplant waiting list. Unfortunately, 22 people die each day waiting for a transplant. To become an organ donor, register at www.organdonor.gov, or check the box on your next driver’s license renewal. 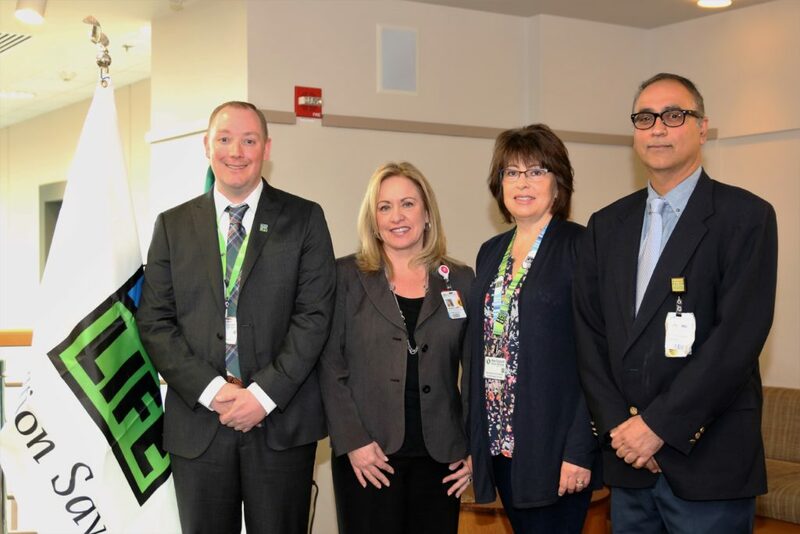 Craig Tucker of New England Donor Services, Renee Clark chief operating officer of Southcoast Health, Sue Graham guest speaker and on the kidney donation waiting list, and Dr. Naresh Mansharamani of Southcoast Pulmonary Medicine.